To learn the language of emotions, we need to understand that emotions are not logical, and cannot be communicated meaningfully in logical terms alone. You can tell someone “I feel down” or “I feel great” in three simple words. Telling them exactly how and why can be far more challenging, especially when you might not even know yourself. So where do you start when it comes to identifying what you feel, and finding meaningful ways to communicate it to those around you? And how can working out your own feelings lead to greater sensitivity to the feelings of other people? Focusing on these nine key areas can help you explore the sometimes mystifying world and language of emotions. Let the words come out of your feelings, rather than just your head. This might not be so easy at first – perhaps you’re worried that if you speak spontaneously, you might say something you’ll regret. Take small steps, and experiment with what feels right for you. You can find ways to speak from the heart without being insensitive or offensive. Sometimes the most honest thing to say is: “I don’t know.” Insisting you have answers to deep and complex questions when you don’t is unhelpful, and it prevents you exploring your feelings further and finding lasting solutions rather than superficial ‘quick fixes’ to problems. Therapy can be a useful option if you need some help along the way. Learn the difference between suppressing and containing your feelings. Suppressing a feeling involves denying it or ‘swallowing it down’, whereas containing a feeling is choosing not to express or communicate it at that particular time but to deal with it later. Suppressing and denying feelings can predispose you to stress, depression, anxiety and physical illness. Whilst sometimes spontaneous expression of your feelings is healthy and constructive, there are times when containing a feeling – with a view to dealing with it at another time – can be more constructive or even necessary. Prejudice and preconceptions often get in the way of real emotional understanding. If ingrained prejudice or childhood associations are influencing the way you feel about someone or something, they will prevent you from having a clear understanding of what is being communicated. As we are often unaware of some of the assumptions and prejudices that drive us, we may need help to discover or uncover these. Do you tend to judge yourself or others when it comes to feelings? Feelings simply ‘are’, even when someone else or society labels them good, bad or indifferent. If you feel angry, sad, hurt, or excited, that is your authentic feeling, with no intrinsic value attached to it. Trying to stop yourself feeling can cause problems both in the short and long term. The goal is to learn to deal with your feelings through owning, accepting and honouring them. And learning how to contain them, so you don’t have to act them out and impact other people. Sometimes feelings are so overwhelming, they frighten us. This is when we tend to push them down, as we feel that they’re too much to bear. But feelings themselves are a natural and undeniable part of the human condition. Many of us are encouraged to suppress childhood feelings. These feelings generally surface or try to surface later in our lives, often in a confusing and destructive way. Much of the work of psychotherapy lies in finding a voice for these tangled feelings, and giving them safe expression. Sometimes it can be difficult to distinguish between feelings and actions. For example feeling anger is fine. 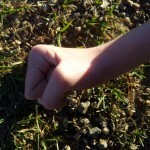 Expressing and communicating anger is also healthy when it is done constructively and not in harmful or destructive ways. Learning to communicate feelings authentically and responsibly so we can be honest without intentionally hurting or blaming ourselves or others is also an important part of the process of psychotherapy. Listening is a vital part of understanding the world of emotions, and it needs to include an awareness of what is being communicated through body language and voice tone. 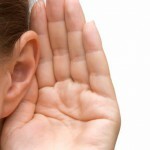 In order to truly listen to others, we need first of all to listen to ourselves. Otherwise we will not be able to distinguish between what is really being communicated, and our perception and interpretation, which can be distorted by our assumptions, beliefs, fears, desires and expectations. Body awareness is the act of tuning in to how our body feels in the moment. Because our feelings are rooted in our body – the heart races if we feel anxious, and muscles relax when we feel safe – developing awareness of our bodies helps to connect us to our authentic feelings. Simple breathing exercises can help you tune in. Sit or lie in a comfortable position, close your eyes and be aware of your breathing. Listen to the rise and fall of your breath, feel your chest moving, and travel slowly around your body to listen, feel and observe. Do this every day for five-ten minutes, and you will start to develop an awareness of what’s going on in your own body. What you find might surprise you! Increased body awareness can give you greater sensitivity to the feelings of yourself and others – helping you work out when to be open and when to be discreet in sharing what you really feel. 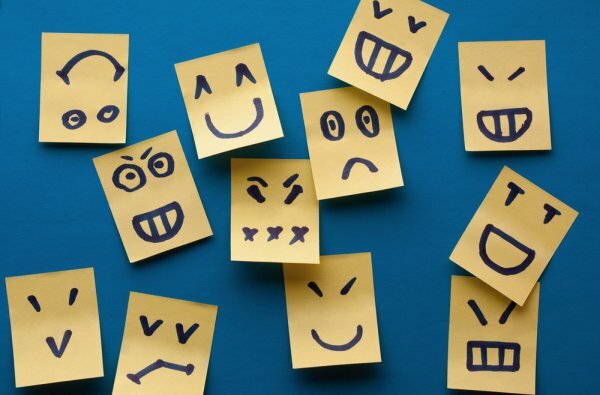 Learning the language of emotions can seem daunting, but tuning in to our bodies is a great starting point. And don’t be afraid to ask for help – sometimes we need someone who has done the work themselves to guide us on our journey.